These are the horrific words that describe the creation of the monster in the classic gothic novel, Frankenstein; or, The Modern Prometheus written by 19 year-old Mary Shelley. The story was created on a dismal rainy summer vacation in Switzerland, where Mary Shelley and her soon-to-be husband Percy Bysshe Shelley, and friend Lord Byron amused themselves with opium, alcohol, and the telling of German ghost stories. They whiled away the hours discussing topics of galvanism and the occult while writing their own supernatural stories to help pass the time. One night during a terrifying nightmare Mary had a vision which began the seed of inspiration for the classic novel. "I saw--with shut eyes, but acute mental vision--I saw the pale student of unhallowed arts kneeling beside the thing he had put together. I saw the hideous phantasm of a man stretched out, and then, on the working of some powerful engine, show signs of life and stir with an uneasy, half-vital motion. Frightful must it be, for supremely frightful would be the effect of any human endeavor to mock the stupendous mechanism of the Creator of the world." Several legends are connected to the castle and the Frankenstein dynasty. One is of a vampire that frequented the castle in medieval times, roaming abroad at night to drink the blood of the villagers, and a young Frankenstein bride who was said to have been found, pale and lifeless in one of the castle's many towers. The other tells of Georg von Frankenstein, the Dragon Killer, who liberated the people of the valley from the terror of a giant reptilian monster in the 16th century. 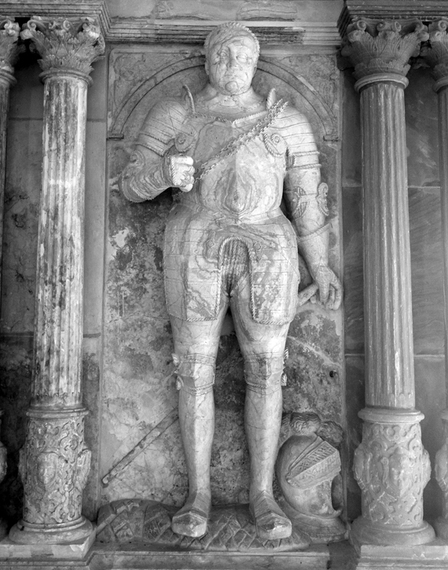 He was mortally wounded in the battle and his sepulchral effigy can still be seen in a nearby church, the monster beneath his feet. The most well-known legend is that of Johann Konrad Dippel. With no relation to the Frankenstein family, Dippel (1673-1734) was born and lived at Castle Frankenstein. For school purposes 'Frankensteinensis' was known to be twice added for administrative purposes to his signature, indicating his birth place. Dippel studied theology, alchemy, and philosophy. Folklore of the region accuses him of body snatching in an attempt to bring the dead to life. In a secret laboratory Dippel was said to conduct his experiments for the search of the secret of life by boiling bones and hair with iron flecks and blood clots. He also attempted to create an "elixir of life" which he claimed would keep him alive to 135 years of age, and which upon taking it, killed him. 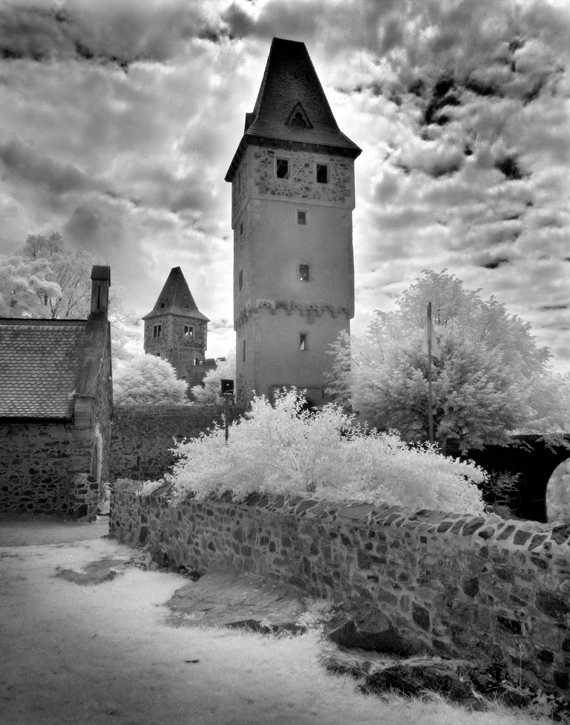 This colorful history has led to many supposed supernatural occurrences on the castle grounds. The place is said to be haunted by several ghosts including Dippel and those he exhumed for his experiments. Dippel is said to haunt the roof of the chapel. 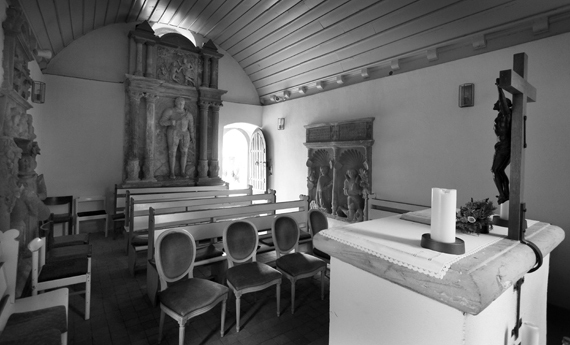 The chapel is also said to be haunted by the last knight of Frankenstein, Philipp Ludwig who died at the age of 20. The knight was on his way to see his girlfriend while riding his coach too fast and was thrown out and broke his neck. The one of the two remaining towers was where Dippel was said to have had his secret laboratory and is where the ghost of Anne Marie, a figure associated with a Knight George legend, settles down to cry and pray hoping for her boyfriend to come back and be with her in the tower. Two ghosts who don't want the castle disturbed are said to throw stones from top of the tower at visitors. Shadows and disembodied voices have been seen and heard in the chapel and tower. Another legend tells of a series of labyrinth vaults that store the Frankenstein families treasure beneath the castle. Most of these stories about the castle's history and the haunted legends are highly contested. Mary Shelly's own connection to the castle and her Frankenstein figure's parallel to Dippel's life have come under scrutiny in recent history, as well. Fact and fiction have become difficult to separate. In recent years the owners of the land and restaurant have given in to the legends, running a year-round Horror-Mystery theater and ultimate haunted house for the month of October. No matter what the true story is, the legends make this destination an even more interesting destination for those intrigued by the potential for supernatural comings and goings. I began my journey in the morning after breakfast at a hotel in Darmstadt. I took a train as far as I could and walked the rest of the way up a very steep hill through the town of Malchen. Carrying a pack full of camera equipment, I wove my way through the paths and roads of the Odenwald Forest that lay beneath the castle. In Germany most locals can find where they need to go but can be difficult for visitors because so many destinations are not well marked. The walk seemed to last forever, especially knowing the stormy skies could open up on me at any time. Once I found signs leading to the castle I felt very relieved and I noticed the sun was starting to shine through. The incredible journey came to an end an hour after I began the all day journey to the town and up the hill. After a short rest and enjoying the view from the overlook frequented by locals on the north end of the grounds, I entered the courtyard and was taken aback by the size of the ruin, which must have been impressive in its day. I walked around taking photographs and enjoying the more impressive view that can be seen from the tower where Dippel setup his secret laboratory. 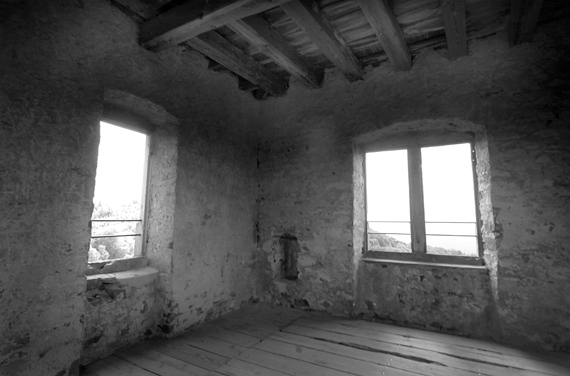 The room inside the tower was small and dark. It must have been very cold and lonely back a hundreds of years ago, if Dippel truly did frequent that tower for his experiments. It was a chilling thought while standing in that space. The sounds of swords clashing together from medieval re-enactors were heard during our visit. I also visited the chapel that looks nearly the same since medieval times, and studied the wonderful figurative effigy of Philipp Ludwig, made of alabaster and sandstone. I stayed as long as we could, then I began my hike downhill to the small village of Malchen where I had started. As I walked through the village I passed a very old church which featured a tree in the courtyard that was said to be 500 years old. My journey was memorable and I could see how Burg Frankenstein inspired such a wonderful timeless novel for Mary Shelley. I felt this place held a sense of foreboding mystery that just resonated with me and my photography. The lure of the Frankenstein legend that captivated generations will continue to be the source of nightmares and monsters for myself and others.